I propose a simpler solution to saving the U.S. Postal Service than getting into the business of commercial banking. 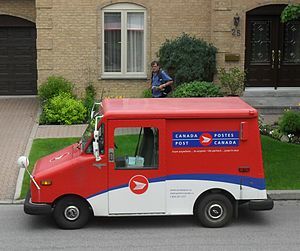 Use Canada Post as a model, which has more population-adjusted employees than the USPS does, despite a far lower population density than the U.S., it’s been profitable for the past 16 years, it reported its most profitable year in 2010 despite the ongoing financial crisis, and boasts the third-lowest postage rates among developed countries. While it may seem like a great idea for the USPS to get into commercial banking, since it will require approval by Congress, I have to say about that proposal what you and I both say about getting Stephen Zarlenga’s Monetary Reform Act through Congress, and that is, it’ll go nowhere.